There is an old Arabic story about the camel on a cold night. If a camel is allowed to push his nose into your tent, by daybreak he will have pushed you out and taken full possession. The camel’s nose is a metaphor for little acts that lead to larger and often undesirable consequences. The government’s drive to take bite-sized control over private property has had the same effect. Governments are masters of spin. With seemingly noble intentions, they find projects of mass appeal that are supposed to be for the betterment of the community. Few people seem to care that these laws and ordinances nibble at the edges of property rights and free choice. From zoning to land-use laws, various government agencies are on the lookout to chisel away small chips of John Locke’s original premise for the preservation of private property. Instead, governments are more concerned with preserving their power. One of the best political arenas in which to watch this lively process is along the California coastline. For instance, a number of cities, including Pacific Grove and Monterey, have empowered historical societies and passed city ordinances to preserve historic buildings by restricting private property. These restrictions are forcing property owners to register their homes as "historical." And a building deemed to be of historical significance can be given no exterior alterations for any reason; the footprint cannot be increased to add another bathroom or bedroom, and owners cannot construct a garage or replace the double-hung windows. These restrictions limit the utility of a property, bringing down the value. Even if the house is in poor condition, rife with dry rot and fungus, government committees make the final determination of whether it may be torn down or even repaired. Local "hysterical societies," as real estate agents like to refer to them, have strict guidelines for deciding which buildings ought to be preserved. Generally, the criteria focus on old buildings of distinct characteristics that were constructed nearly 100 years ago, Victorian or Edwardian structure, or earlier. But Carmel has gone one step further. The Carmel Historic Resources Board has created a list of homes and business buildings to be placed on its preservation list that includes properties only 30 or 40 years old. One former bank structure built in 1972 was put on the list because, as one preservation activist wrote, "it remains a stunning piece of architecture." Essentially, preservationists are taking an extremist position, demanding control over other people’s land without having to buy it themselves. Most of the owners of potentially "historic" homes have appealed to the Historic Resource Board. Many such applicants have been denied, forcing owners to take the matter to the City Council in hopes that their homes will be declared unworthy of mandatory preservation. Some Carmel residents have even hired expensive historical consultants to challenge the government’s ruling. Ironically, homeowners are put into a position of having to denigrate their own property in order to protect their rights — having to argue in front of government committees, "It’s just a box, an ugly box." Then again, the Carmel hyper-regulations on homes are legendary. This year a homeowner was rebuked for installing a decorative chimney cap portraying a gargoyle. The owner had no idea that she needed a permit. In a city that boasts about its bohemian art colony past, the Planning Commission weighed in on whether the gargoyle had to go. The debate came down to whether it was "whimsy" or "ostentatious." Eventually, the Planning Commission voted in favor of whimsy, apparently satisfying its arbitrary vision of what Carmel should look like. But Carmel bureaucrats cannot always be blamed for all of the city’s strict land-use laws. According to the city attorney, Don Freeman, the California Coastal Commission is responsible for instigating the historical review board. The Coastal Commission required Carmel to set up the committee and hire a consultant to locate suitable properties. 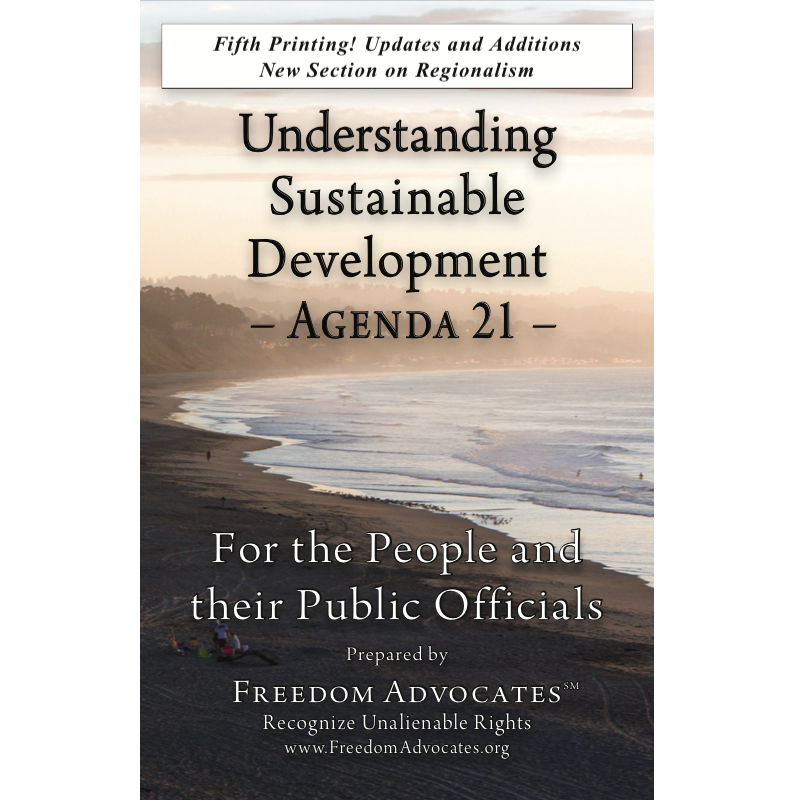 But the Coastal Commission’s original job description was to restrict development along the coast. In an apparent "mission drift," the commission has not only expanded its control over coastal buildings but has even set up guidelines for street parking. One wonders where it will end. Of course, there is no end to the war on property rights. Like an overbearing camel, government has every reason to inch its way inside the owner’s tent. They have no intention of saving people’s property rights; they are far more interested in preserving their own right to interfere. Lawrence Samuels is vice chairman of the Libertarian Party of Monterey County, a Monterey Realtor and a freelance writer.